Here is a look at the managers the Cardinals have had since 1901 and a look at their numbers as a manager. 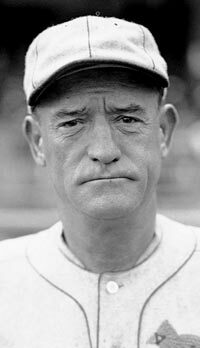 Donovan, at the time considered the most successful Irish-born player in the majors, had one winning season as Cardinals player-manager, his first one, when his team finished 76-64. He was dismissed after a 43-94 mark in 1903. Nichols was a Hall of Famer as a pitcher, becoming the youngest pitcher to reach 300 victories at age 30 and posting 11 seasons of 20 or more wins out of his 361 wins overall. 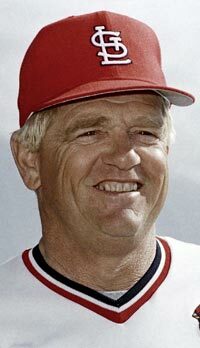 He won 20 in his only full season as the Cardinals’ player-manager when his team was 75-79 but was let go during the next year. The third baseman became player-manager a couple of months into the season. 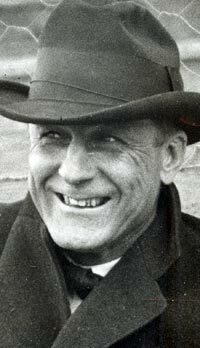 He was 34-56 before being replaced by co-owner Stanley Robison and would resurface as a manager in St. Louis with the Browns from 1918-20. 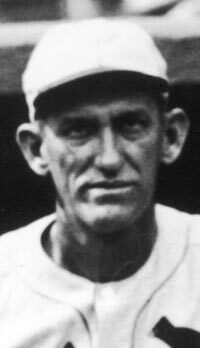 After returning third baseman Jimmy Burke to player status only, Robison took over for the final 50 games of the season. He wasn’t any more successful than his predecessor, posting a 19-31 mark. Nicknamed “Honest John,” McCloskey’s teams were, honestly, very bad. His best in three seasons was the 1906 club which limped home at 52-98. 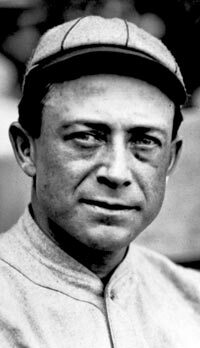 The Cardinals suffered their only two 100-loss seasons in his next two seasons, “peaking” at 105 defeats in 1908. An innovator, the Hall of Fame catcher was the first to use shin guards and later the protective face mask. After his first two seasons as Cardinals manager he was given a five-year extension by owner Stanley Robison because attendance had risen. But Robison died and Bresnahan was fired after the 1912 season. 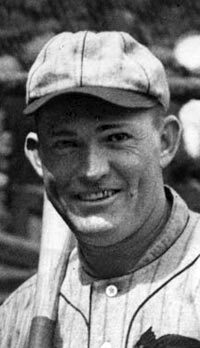 Huggins, another Hall of Famer, would go on to later fame as manager of the great New York Yankees teams in the 1920s. 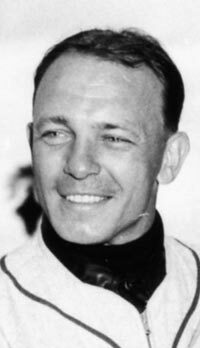 With the Cardinals, “Mighty Mite” Huggins, a 5-foot-6 second baseman, had two winning seasons out of five as a player-manager but never achieved more than 82 victories. Four of the seven managers who have law degrees managed the Cardinals: Hendricks was one, along with Miller Huggins, Branch Rickey and Tony La Russa. 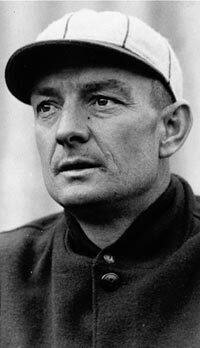 Hendricks quit after one season of war-time ball when the club was 51-78 and he later resurfaced as manager in Cincinnati. The “Mahatma,” another Hall of Famer, Rickey became more famous as a general manager and the originator of baseball’s farm system as we know it when he was with the Brooklyn Dodgers. The Cardinals had winning seasons in 1921-23 but Rickey was fired in 1925. 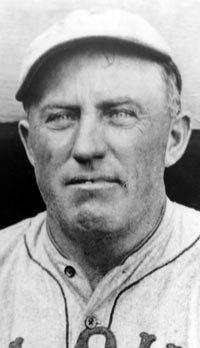 After leading the Cardinals to their first world title in 1926, Hornsby asked for a contract paying him $50,000 for each of the next three seasons. 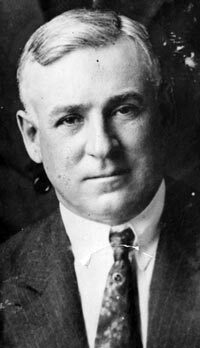 Sam Breadon countered with one year for $50,000 and when Hornsby refused that offer, he was traded to the New York Giants for Frank Frisch, among others. The catcher and National League Most Valuable Player for the 1926 World Series champions, O’Farrell won three games more in 1927 than Hornsby won the year before but a dissatisfied Sam Breadon, thinking O’Farrell left his pitchers in too long, paid him a $5,000 bonus to step down as manager. 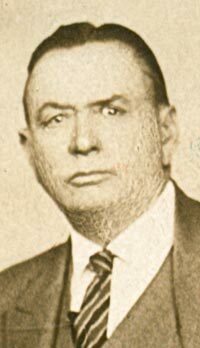 McKechnie won the Cardinals’ second pennant but was sent back to manage Class AAA Rochester after McKechnie’s Cardinals were swept in four games by the Yankees in the 1928 World Series. 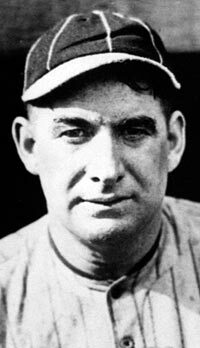 McKechnie was brought back as Cardinals manager later in 1929 but resigned to go to the Boston Braves. After winning 97 games in Southworth’s first full season, 1941, the Cardinals reeled off win totals of 106, 105 and 105 in the next three seasons and won the 1942 and 1944 World Series. After the Cardinals finished second to the Cubs in 1945, Southworth jumped to the Boston Braves for $50,000 in 1946. 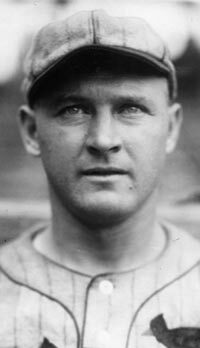 “Old Sarge” Street led the Cardinals to a league title in 1930 and a World Series championship in 1931. 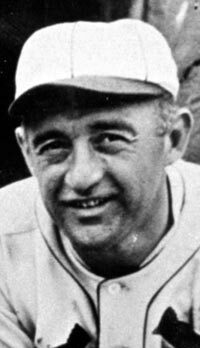 But, after the Cardinals dipped to 72-82 in 1932 and were fifth in July, 1933, Street was fired and replaced by player-manager Frank Frisch. A player-manager as a second baseman, Frisch oversaw the famed “Gashouse Gang,” which won the 1934 pennant, World Series and won 96 games but finished second to Chicago in 1935. But the Cardinals’ win total dropped in each of the next three seasons and the “Fordham Flash” was replaced in 1938. 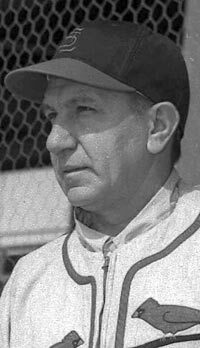 Third-base coach Mike González twice served as interim manager, going 8-8 at the end of 1938 and 1-5 in 1940. The Cuban’s greatest legacy was coining the oft-used phrase, “Good field, no hit,” when describing a prospect he was scouting. 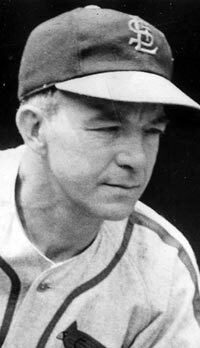 The McLeansboro, Ill., native had a .301 lifetime average and led the Cardinals to 92 wins in his only full season, 1939, when he banned alcohol in the clubhouse. But when the Cardinals went 14-24 at the start of1940, Blades was fired, replaced ultimately by Billy Southworth. The Cardinals won the World Series in Dyer’s first year, 1946, but then finished second three years in a row as the Brooklyn Dodgers, the first club to sign African-American players, took over the Cardinals’ perch as the preeminent team in the National League. Dyer resigned after a fifth-place finish in 1950. He managed just one season for the Cardinals before moving to the Browns to manage the next season. 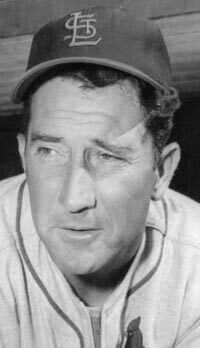 Marion would also manage the Chicago White Sox but was never as successful in that endeavor as he was a slick fielding player on the Cardinals’ championship teams in the 1940s. 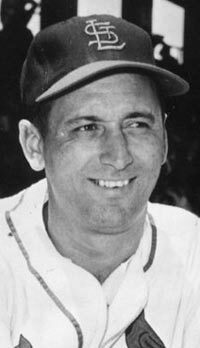 When the Cardinals finished 88-66 in 1952, Stanky was named National League Manager of the Year. But that was the best of his four seasons and he was fired in 1955 with the club at 17-19. “The Brat” would return as a front office executive with the club a few years later. 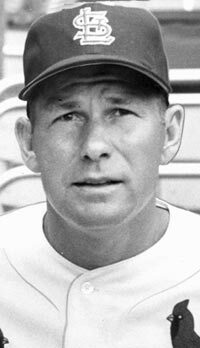 Walker was called up from the Cardinals’ AAA affiliate in Rochester in 1955 to replace Eddie Stanky as manager. The Redbirds ended up losing even more ground in the standings and finished the season 30½ games behind Brooklyn. 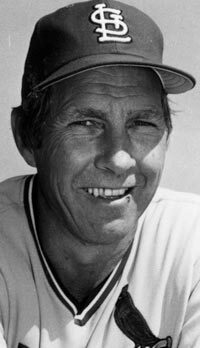 Walker would have later stints managing the Pirates and the Astros. 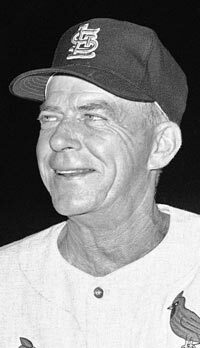 “The Big Bear” likewise was named Manager of the Year in 1957 when the Cardinals finished second at 87-67. 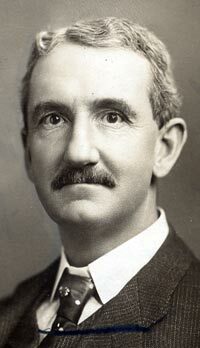 But, when general manager Frank Lane departed the next year and the Cardinals trudged to a fifth-place finish, Hutchinson was fired in September. An outstanding third baseman, Hack was also something of a matinee idol. In 1935, Detroit Tigers employee Bill Veeck staged a “Smile with Stan” promotion, with Hack’s face on the other side of mirrors given to fans. But when fans reflected sunlight into opposing hitters’ eyes, umpires threatened to forfeit the game. Hemus’ Cardinals team finished third in 1960, posting an 86-68 mark. 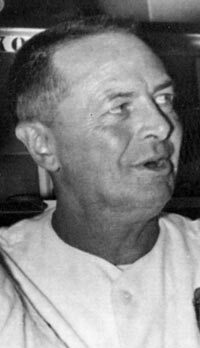 But, in 1961, after the Cardinals started 3-16 and then were drifting at 33-41 in mid-season, Hemus was replaced by coach Johnny Keane. 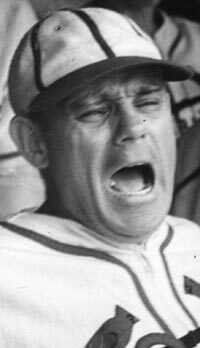 In 1964, amid rumors that owner Gussie Busch wanted to hire Leo Durocher as manager, Keane led the Cardinals’ miracle comeback, which culminated in a World Series championship. At this point, Busch was ready to retain Keane but the latter jumped to the Yankees the day after the World Series ended. 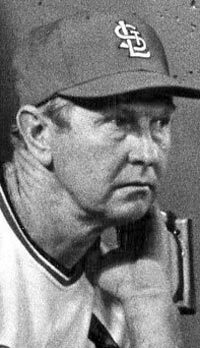 Schoendienst directed back-to-back National League championships in 1967-68 and his team won the World Series in 1967. 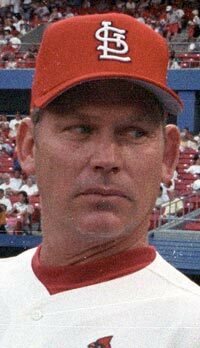 In the 1970s, the Cardinals contended several times, finishing second three times from 1971-74 but fell short and, after a record 12-season run, Schoendienst was replaced. Rapp, more of a disciplinarian, led the Cardinals to a third-place finish in 1977 but he gradually lost the clubhouse — he had a notable disagreement with relief ace Al Hrabosky and the matter of facial hair — and, after a 5-11 start in 1978, Rapp gave way to popular former Cardinals third baseman Ken Boyer. 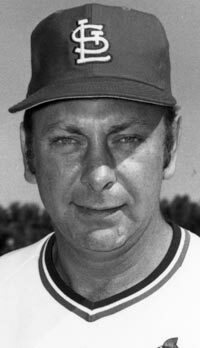 Third-base coach Krol took over in 1978 for two games from Rapp, who was disliked by the players. In 1980, general manager John Claiborne could not get to Montreal in time to fire Ken Boyer before a doubleheader, so he fired Boyer between games. Krol lost the nightcap and Whitey Herzog took over the next night. Boyer finished third in his only full season, 1979, but the Cardinals started badly in 1980 and he was gone in early June. 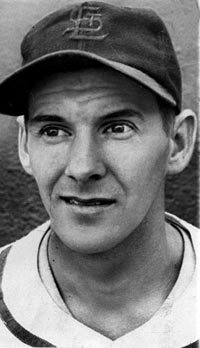 Boyer was replaced for one game by Jack Krol and then by Whitey Herzog and Red Schoendienst. One of the most entertaining periods of Cardinals history was the “Whiteyball era,” which produced very few home runs, very many stolen bases and league championships in 1982, 1985 and 1987. Herzog resigned in 1990, when he felt his message wasn’t getting through to a team which had a number of potential free agents. 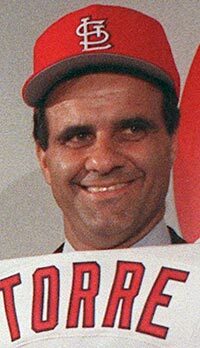 After Red Schoendienst managed a month in 1990, former Cardinals star Torre returned to St. Louis. He couldn’t stop the Cardinals from finishing last in 1990 but the club finished second and then third three times in a row. 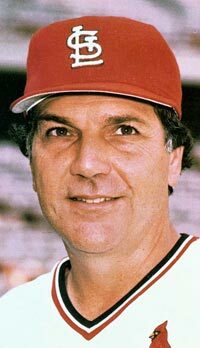 In 1995, Torre was fired, only to go on to fame and fortune as Yankees manager. Jorgensen managed the last 96 games of 1995. An unusual highlight was that Jorgensen and the Cardinals were awarded a forfeit win, 2-1, on Aug. 10 in Los Angeles when Dodgers fans, dissatisfied with the umpiring, fired souvenir baseballs onto the field for the third time in the bottom of the ninth inning. The numbers speak for themselves. Nine playoff appearances, three league championships, two World Series titles. 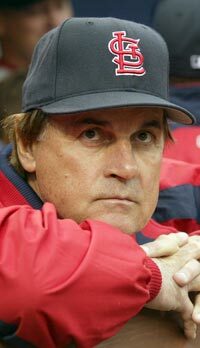 La Russa retired after the 2011 championship with the longest tenure, 16 seasons, and most victories, 1,408, of any Cardinals manager. 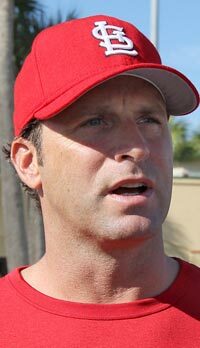 Despite a lack of previous professional managerial experience, Matheny guided the Cardinals to appearances in the NLCS Championship and the World Series in each of his first three seasons.